A gas chromatograph (GC) is a sophisticated instrument commonly used for chemical analysis. A response factor for a GC is simply the ratio between the concentration of a chemical being analyzed on the GC (the "analyte") and the response of the GC detector to that concentration of analyte. This is found by calibrating the GC with known standard solutions. 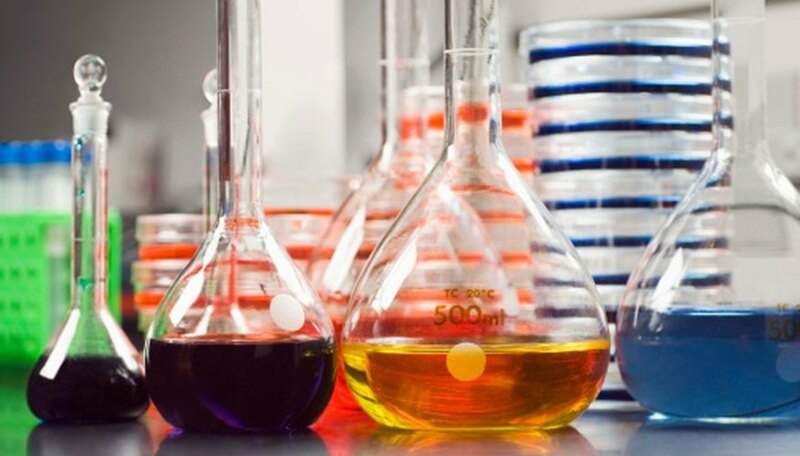 Once a response factor for a particular chemical is found, the concentration of the chemical in future samples can be calculated from the detector response to that sample. Inject a series of five to 10 calibration standard solutions, one at a time, into the GC for analysis. 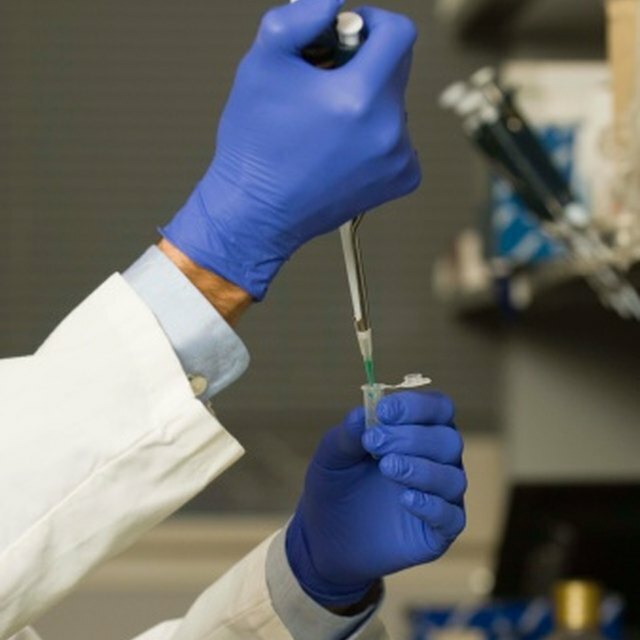 These standards must contain the analyte that you need to find a response factor for, and the concentration of the analyte in the series should span the range in which you anticipate future samples will fall. As an example, if you need to find the GC response factor for lead and you anticipate the samples will have no more than 100 ppm lead, you might inject calibration standards containing 10, 30, 50, 70, 90 and 110 ppm lead. Record the detector response to each solution (for example, peak height or area count). Enter the calibration data into a graphing calculator as a series of pairs. Each data pair will consist of the analyte concentration in the standard solution (the "x" value) and the detector response for that standard (the "y" value). Fit a straight line to the data by using the calculator graph function and obtain the equation of the line. Assuming that a concentration of zero gives a detector response of zero (which it should), the line equation will be: Detector Response = (m)(Analyte Concentration), where m is the slope of the line and is also the GC response factor for that analyte. The response factor for the same analyte will be different for different detectors. The response factor may change over time so the GC should be recalibrated and new response factors determined on a regular basis. Judge, Michael. "How to Calculate GC Response Factors." Sciencing, https://sciencing.com/calculate-gc-response-factors-8003137.html. 24 April 2017.